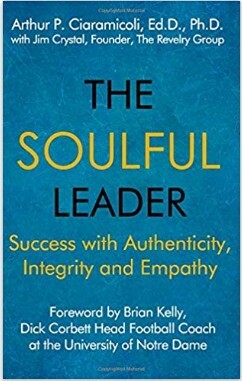 English Summary/英文概要： THE SOULFUL LEADER provides poignant and practical examples of Dr. Ciaramicoli’s ground-breaking AIE (authenticity, integrity and empathy) leadership platform for leaders in all industries to help them successfully optimize the potential of employees. AIE leadership produces an environment where staff members grow to respect each other while producing on the highest possible level. About the Author/作者介绍： Dr. Ciaramicoli has developed this approach during 35 years of consulting with and counseling leaders in business, education, politics, and on athletic teams. His communication and leadership groups have been ongoing for over 30 years, which has allowed him to study the personal characteristics that lead to excellent leadership skills. His pioneering approach offers new promise to a society struggling with fear and doubt about those in powerful positions.